Holy moly! We are already a week into May! Can you believe it? Today I bring you a cornbread recipe that I actually first shared, here, when I had just been blogging for ONE MONTH! That first ever recipe post was pre-Bryce and, believe it or not, I had never made it for him in nearly three years of dating! That changed recently, however, one night when we made one of our favorite meals Thai Chicken with Cashews. Caycee first linked to the chicken recipe on her blog and it quickly became a go-to meal that we make frequently. Bryce likes to use ghost peppers in the recipe, so the chicken is usually quite spicy. I, therefore, thought that the sweet cornbread would be a good complement to the chicken's spiciness. Combine the remaining ingredients and pour into pan: Do NOT stir in the butter, simply layer the batter on top. Some butter will seep over the edges on top of the batter. I simply rock the pan a bit, so that butter will evenly spread across the top of the batter. *The original recipe I posted called for a 9x13 pan and 20-25 min baking. I have found I prefer a taller piece of bread, however, and have adjusted the recipe accordingly--totally a preference thing, though! What are your go-to dinners? We're always looking for new recipes to try! Are you a fan of cornbread? 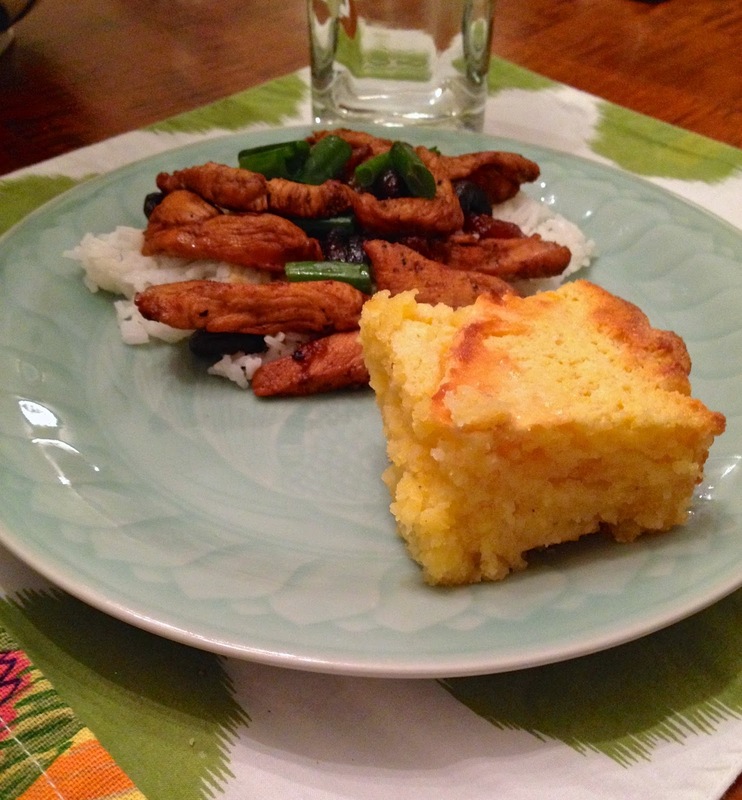 Laughing at you southerns eating cornbread with Thai food :) Looks delicious! That sounds delicious! I love cornbread! Try substituting some applesauce for the butter...makes the CB very light and adds that hint of sweet. I used s'cream on accident since I didn't have milk recently and it's so good in cornbread! I love to add real corn, green chiles or diced jalapenos to mix up the flavors and textures. Cornbread and I have a love/hate relationship - so good, but so bad ha. 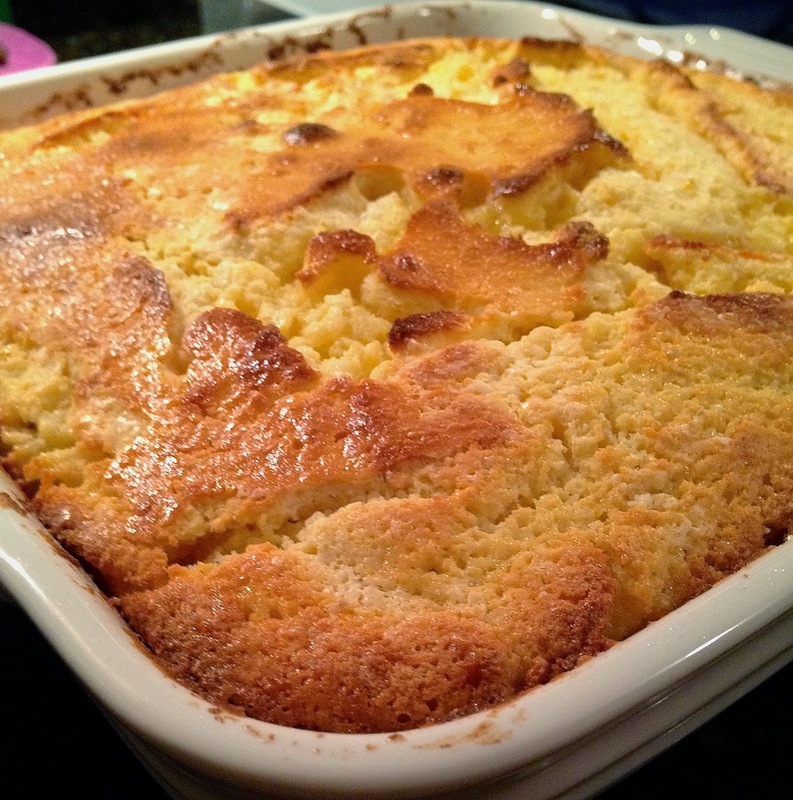 I love sweet cornbread and can't wait to try this recipe! Thanks for sharing. That sounds super easy! I'll have to try it!! I seriously love cornbread... especially when paired with honey. Do you think it would taste okay still without the sour cream? YUMMO! That looks delicious and MCW's comment made me giggle. Cornbread does go with everything in the south! ha! Yes its true this recipe easy and simple. I could literally eat a whole pan of cornbread, can't wait to try this recipe! This is my kind of cornbread! Yum!